Questionable business methods? Getting the man all worked up? Being called disruptive 3 times in one TC article? Whether it succeeds or fails at taxi hailing, Uber’s at least shaking up the system like every startup sets out to do. 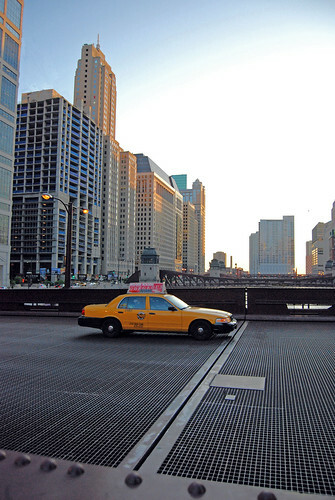 Uber is getting sued by taxi and livery companies in Chicago. Photo by B.Cru. The complaint charges that Uber is not inspecting taxi vehicles to make sure they comply with city and state regulations and does not ask potential taxi drivers if they are properly insured. The lawsuit also alleges that Uber claims it works with “fleet partners” when Uber actually works directly with drivers in its taxi service.